Details: This nebula is about 2,700 light years away, and is a red emission nebula, although it contains some blue sections. 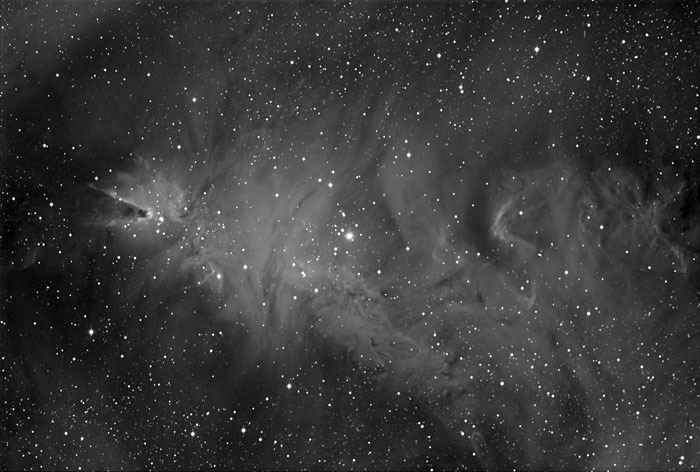 I’m hoping to add color data to this later, this is a narrowband Hydrogen Alpha image. Notice the Cone Nebula on the left side, made famous by the Hubble picture of it. I’ll have to take a closer up view of the Cone with the C11 at a later time.